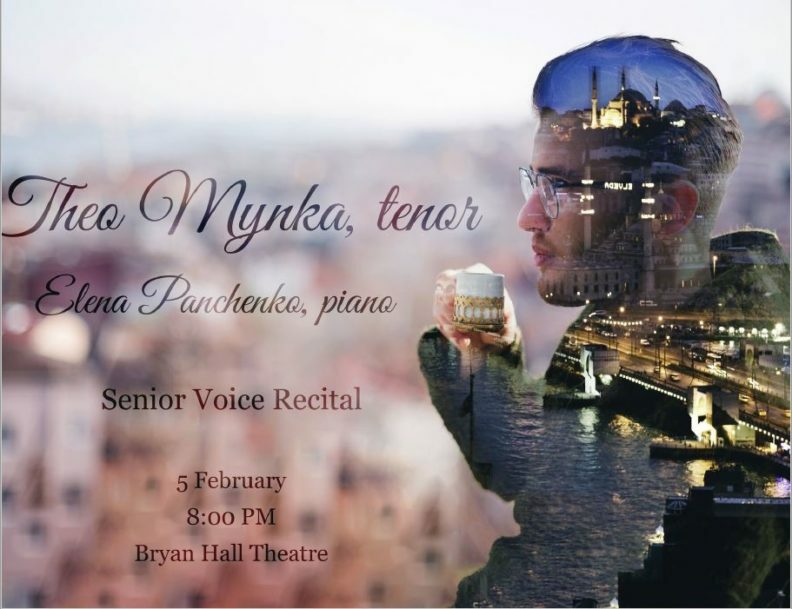 Bogdan “Theo” Mynka, tenor, and Elena Panchenko, piano, will perform works by C.P.E. Bach, Johannes Brahms, Ernest Chausson, Manuel de Falla, and Paul Bowles. Free and open to the public. Join us for a night of beautiful art song from various periods and cultures!